The second of Mario Kart 8's DLC Packs released a few weeks ago, and now in addition to the 32 tracks already on the game disc, Mario Kart 8 owners also have 16 new and remixed tracks they can purchase. After some intensive research (i.e. having a lot of fun racing on these sumbitches), I have come up with a new Rank Up! where I rank the new tracks from least favorite to favorite! Nonetheless, it's quite important to note that none of these tracks are bad at all. In fact, I like them all, which made putting this in any kind of order a challenge! However, I persevered and have come up with an order that I feel satisfaction with. Let's get to the list of sixteen! And if you can't get enough kart racing fun, check out my top ten list from yesterday regarding the best kart racing games! 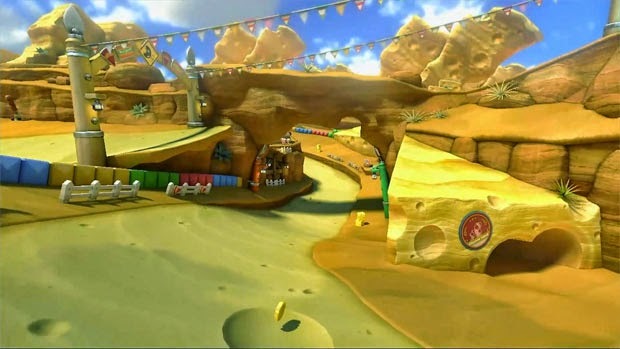 Wario's Gold Mine returns from Mario Kart Wii, and in that game it was one of my least favorite courses. I mean, lots of rail-less portions of track and eleven other racers to contend with, bouncing you off, is not too much fun. 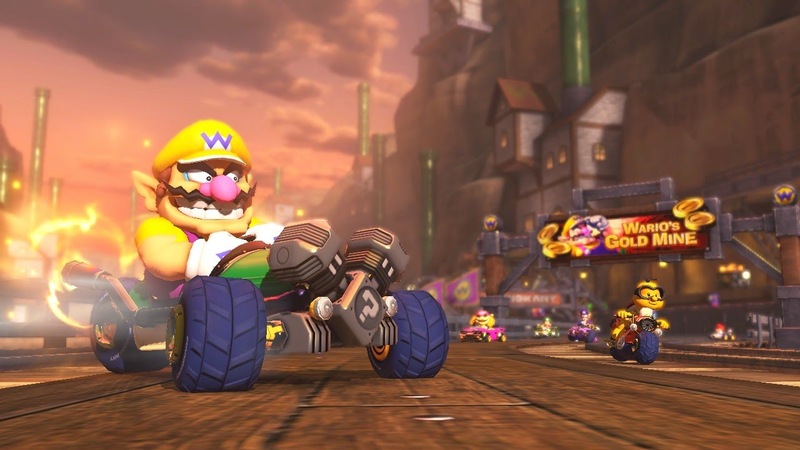 However, with the Mario Kart 8 version, the track is a lot more fun, and thankfully the moving mine carts no longer damage the player who runs into them. Instead, you get a boost from them since they are in an anti-gravity section of the track. The tunnel where the mine carts travel is still an awesome shortcut to take and still requires some skill to achieve. All this makes for a much better ride through the gold mine of everyone's garlic-chomping antihero. 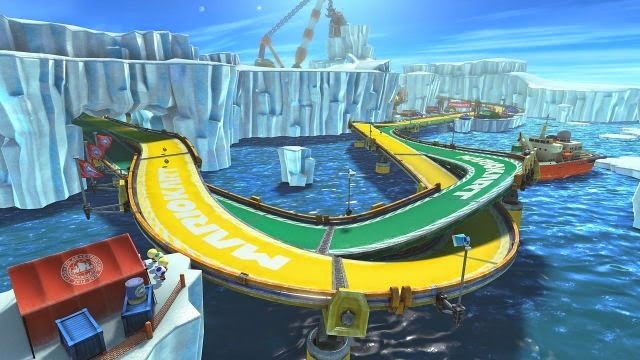 Similar to Electrodrome in the base game of Mario Kart 8, Ice Ice Outpost features a duo of paths that can be taken. The only difference here is that there are multiple points where the track splits up into two paths. While the shortcuts are fun and require skill to nail, they aren't really worth it in the risk versus reward category. Still, there's a lot of entertainment to be had racing through open mouthed ice caverns, icebergs, freight ships and huts housing Toads to recommend Ice Ice Outpost as a track. 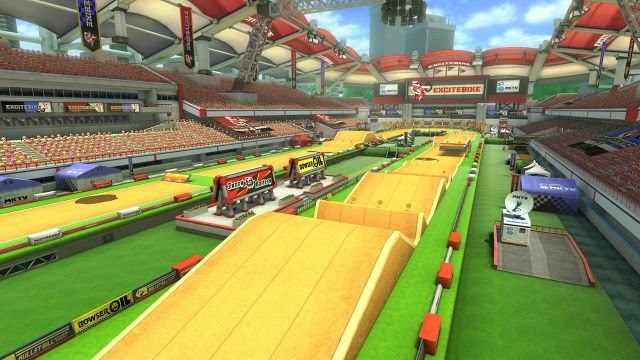 xcitebike Arena is a unique track, though not in its shape, as it's a mere oval design .Instead, it's a unique track due to it randomizing the location of its hills, ramps, jumps, and mud pits each time it is raced on. This means that you're in for a different race each and every time, which can be a good thing or a bad thing depending on who you are. For me, the track having two huge straightaways makes Excitebike Arena less "exciting" to me, but overall it is still an enjoyable track to race on, particularly in multiplayer skirmishes. In Mario Kart 7, Neo Bowser City wasn't too fascinating of a track, but in this remixed version in Mario Kart 8, it is a very cool race. Seeing the rainfall splash onto the pavement of Neo Bowser City's roads and twisted curves is fantastic, and pulling off some of the more difficult curves on the track successfully makes one feel like a boss, specifically Bowser if we're saying "boss" in Super Mario terms. The final gliding section allows racers to still decide between soaring over the finish line or taking a daredevil trip over the abyss, using an air tunnel to get extra distance before landing back on the track. Though it's important to note that this isn't as easy as it was in Mario Kart 7. 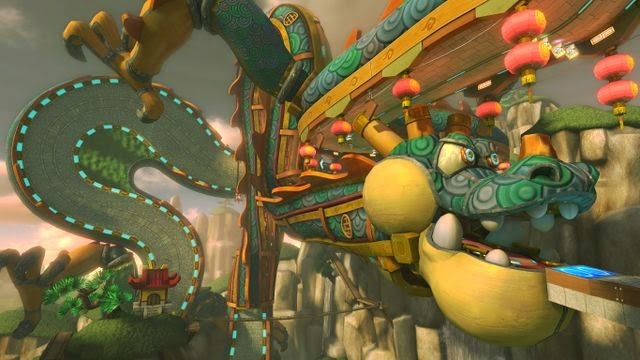 I love Dragon Driftway for its Asian setting alone, and the fact that you're racing on a giant stone Gobblegut for essentially the entirety of the race! As a dragon road, you might expect plenty of twists and turns and devilish curves. You'd expect correct, as Dragon Driftway is a very challenging track, especially in 200 cc. That said, the race seems less fitting for the super fast 200 cc and not particularly designed for it. However, if you manage to use the brake intelligently, you might just find yourself earning first place. This is the third Mario Kart game where Baby Park makes an appearance. It originally debuted in Mario Kart: Double Dash!! for the GameCube, where it was a war zone of items, particularly shells, bouncing to and from, causing utter chaos and destruction. It reappeared in Mario Kart DS, but it was severely neutered. However, its next return, this time in Mario Kart 8, offers plenty of craziness thanks to twelve racers all competing on its very short seven lap oval. The fact that the music quickens faster and faster with each passing lap makes the race even zanier! 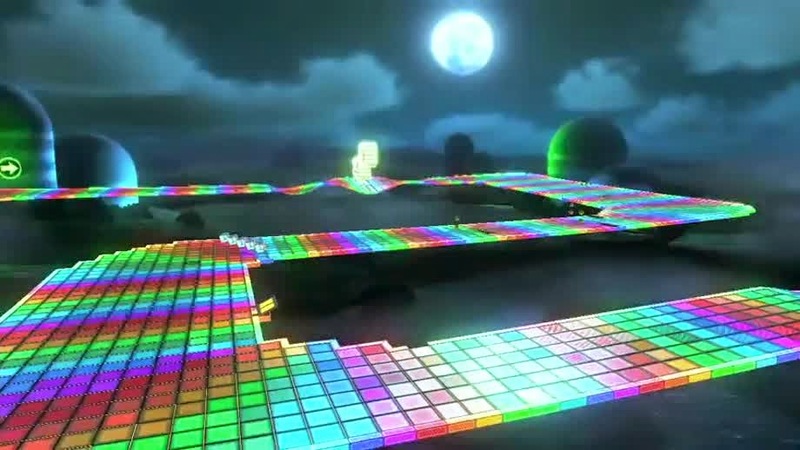 Yoshi Circuit is one of the only tracks in Mario Kart 8 without any anti-gravity section to speak of. However, the race is still an enjoyable one due to all of the curves both short and long the track features. This is especially prevalent on the spine section of Yoshi (after all, the track is an outline of everyone's favorite dinosaur Yoshi's profile). The lone shortcut (outside of Mushrooming across patches of grass) has racers speeding through a waterfall, across a small expanse of water, under Yoshi's arm. It is a blast to nail that shortcut, and it is a blast to just race on this track. 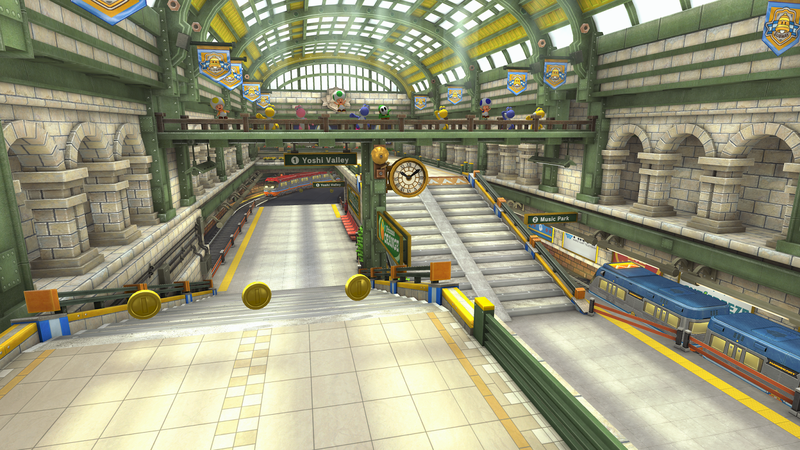 Mario Kart 8 heads underground with its Super Bell Subway track. This track is an elongated figure-eight of sorts, where racers speed through the terminal before heading through the subway system, packed with zooming subways to contend with in addition to other racers. There are plenty of opportunities to use a Mushroom to blaze over the gravel portions of track that would otherwise slow a racer down, as well as places to ride in the rafters over and on top of the subways that patrol the tunnels. It's a very difficult track for me in 200 cc, but with more practice I'll find that I love Super Bell Subway even more than I already do thanks to its design and one particular Easter egg (the World 1-2 graffiti inside one of the subway tunnels). The developers of Mario Kart went absolutely crazy with the pair of Game Boy Advance tracks for the second DLC pack. While Mario Circuit's GBA version in the base game was flat, save for the anti-gravity U-turn section, the DLC Game Boy Advance remakes are full of undulations and environmental changes to make them feel like completely new races. Cheese Land removes the Mousers that patrolled the Game Boy Advance version of the race and adds two Chain Chomps instead. Also added is a tunnel through a big block of cheese, two shortcuts where racers can use Mushrooms to access, skipping over the final set of turns of the track, and plenty of sights and sounds to behold. 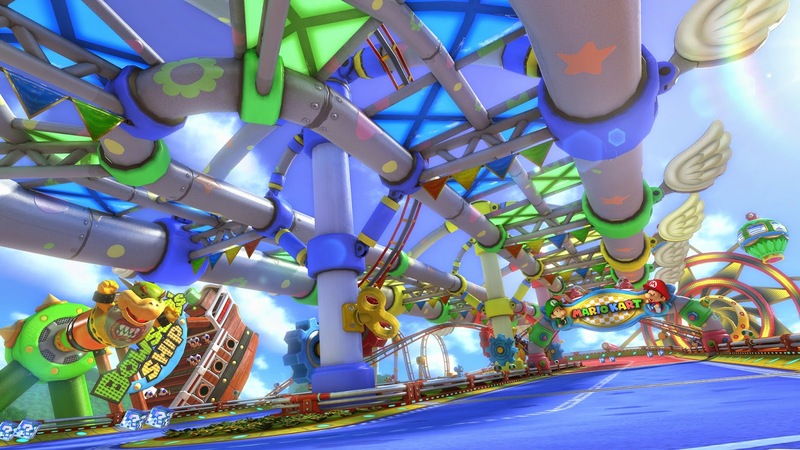 The second of the remixed and remastered Game Boy Advance tracks is Ribbon Road, taking place in a playroom that resembles something from Toy Story. The track is essentially split up into three portions, marked by their colors-- green, blue, and pink. 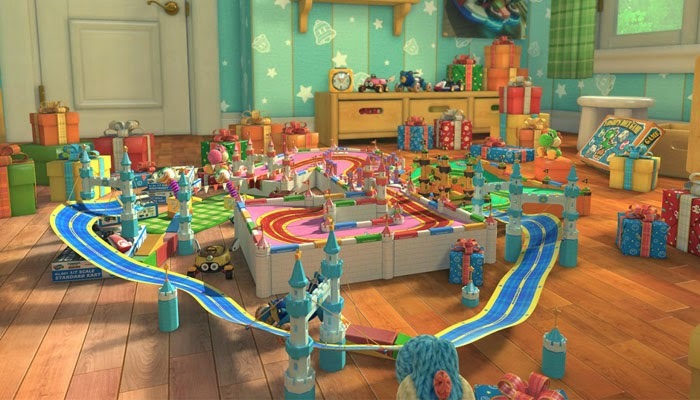 Whether you're racing along an undulating rail-less ribbon that has plenty of curves to it, dodging Mechakoopas, or soaring past Bowser Toy Car jack-in-the-boxes, Ribbon Road features a lot of new obstacles and hazards to make note of. Both of these Game Boy Advance remade tracks are excellent, but I give the edge to Ribbon Road just for the nostalgia it gives me. Making its third appearance in the Mario Kart series, Rainbow Road is a much wider track than in previous appearances, but don't let that fool you. There are still myriad turns to worry about that skillful racers must overcome without being bumped off the track, one without any rails whatsoever. Then there are the electric Thwomps that slam into the track from midair, creating temporary undulations into it that can be tricked off of for added boosts of speed. Rainbow Road's sole shortcut comes just before the final turn to the finish line, requiring a Mushroom to leap across a chasm in the middle of a quick split path housing Thwomps on both paths. That is, unless you're playing in the 200 cc, where you can just speed over the ramp and make it to the other side with no problem whatsoever. "You got boost power!" 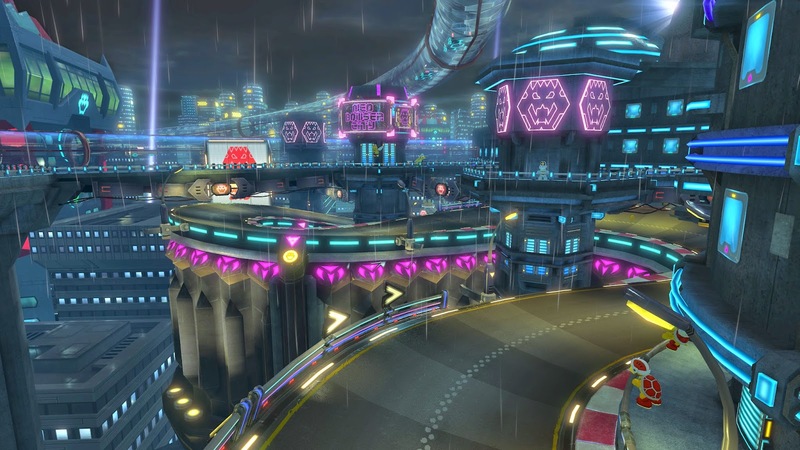 The only Mario Kart 8 DLC track that features three sections, much like Mount Wario (my favorite of the races in the base game), Big Blue is notably based on the setting of races in the F-Zero series. Therefore, as F-Zero fans can expect, it features anti-gravity all of the time, with insane curves, plenty of places to fall off from, and rushing water that pours down slides which racers jet across. Like Mount Wario, Big Blue feels like one big, epic, racing adventure, but this time it has a science-fiction feel to it. Just the way I like it. If Nintendo won't deliver unto us a new F-Zero, this and the next track on my list will have to do... for now. 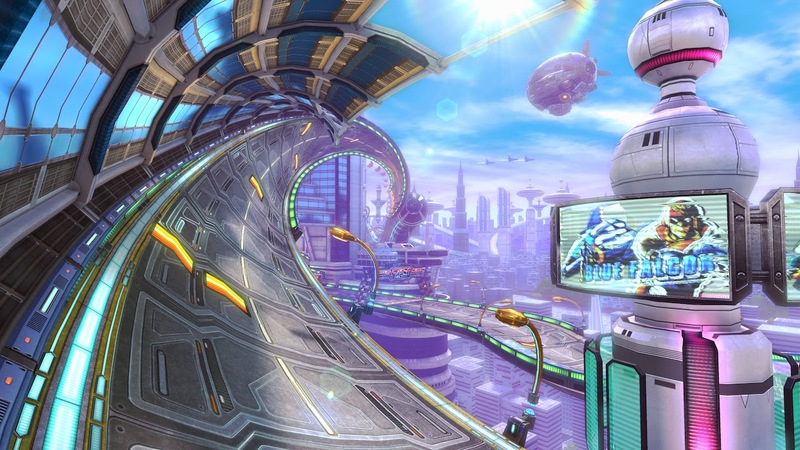 Big Blue is a part of the second set of DLC tracks for Mario Kart 8. Mute City is part of the first set. 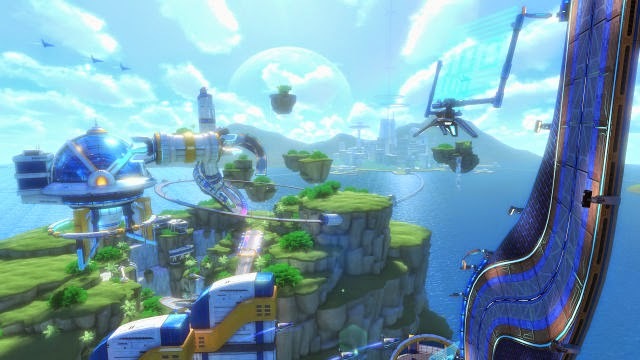 It takes place in the sky, like any F-Zero track would, but like Big Blue, it is a wholly original design. The environment is the sole aspect that is Mute City-ish, with futuristic buildings, billboards, and a pinkish purple sky. The road twists like a corkscrew, curves like a snake, and features a huge drop near the race's conclusion, where a smartly used Mushroom can reveal a shortcut just before the drop. Mute City doesn't fully satiate my desire for a new F-Zero, but at least Nintendo realizes and admits the franchise exists. 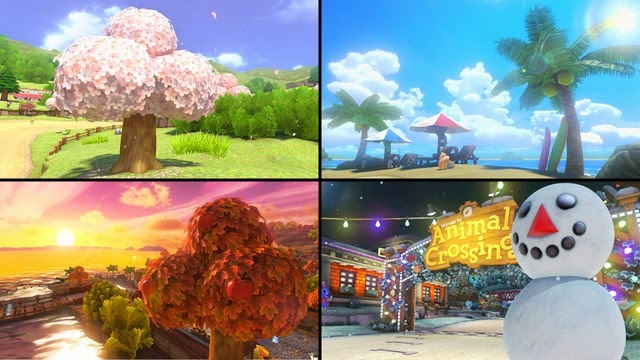 Animal Crossing is a very special track in that it actually has four forms, randomly selected each time you play. The only differences are aesthetic, changing in seasonal appearance. What it lacks in anti-gravity, Animal Crossing more than makes up for in nailing the atmosphere and small town feeling of being in an Animal Crossing town. Whether you speed through a grove of trees, encounter Mr. Resetti in the middle of the race, fly over the town's fountain, jet past the beach, or run into a rock (they even drop coins like the real game), Animal Crossing is a track that is enjoyable to race on. Then again, if you've followed me for any extended time, you know how much I love village/city circuit tracks. 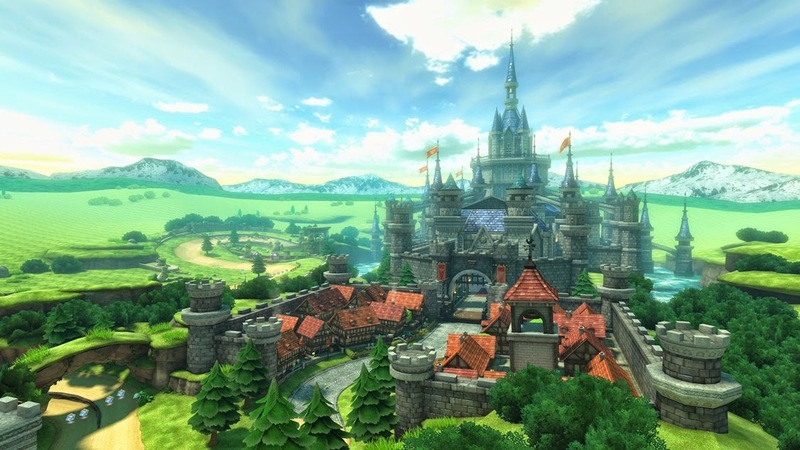 The third and final crossover race in Mario Kart 8's DLC tracks, The Legend of Zelda's Hyrule Circuit has racers racing through Hyrule Field before taking a long right turn to a ramp, which takes them over Hyrule Castle's moat. From there, a left turn leads into the castle itself, where hitting three switches will reveal a shortcut instead of requiring the player to drive around the centerpiece of the castle. Racing out of the castle, race participants speed through a short town section before swerving through a valley full of Keese and Deku Babas. Finally, a quick ramp leads to the finish line, successfully taking racers through a quick tour of Hyrule, a race that makes me smile from beginning to end. 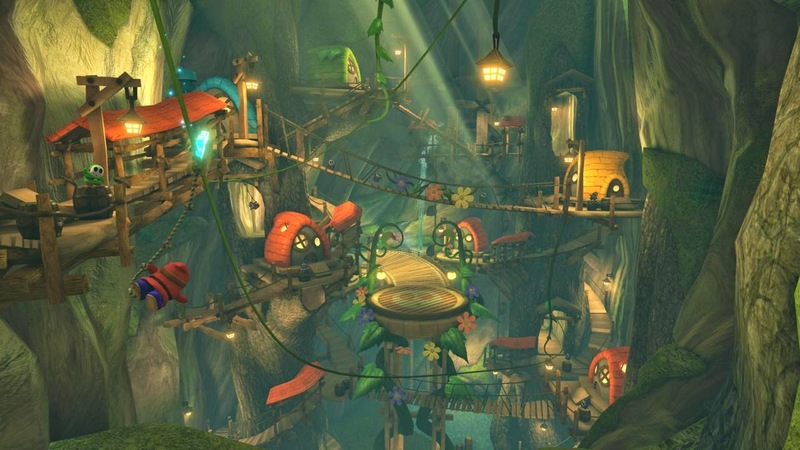 This track, Wild Woods, takes racers through a treetop village and the forest canopy along giant tree branches serving as the track, alongside wooden platforms. Shy Guys seem to make their home here, most notably in the portion of track where players glide over a large chasm as Shy Guys swing overhead. Wild Woods is such a sight to behold, and I absolutely love the ambiance it presents players. The design is top-notch, too, offering tricky turns, an opportunity for a shortcut at the homestretch, and a fun water chute that leads to a pond with lily pads sporting boost strips on them. 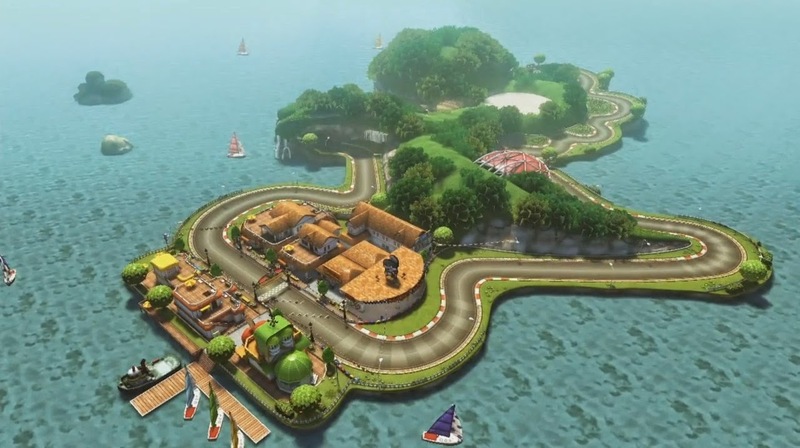 It's such an original track in both design and composition, making it my favorite of the sixteen new tracks that are a part of the Mario Kart 8 DLC.